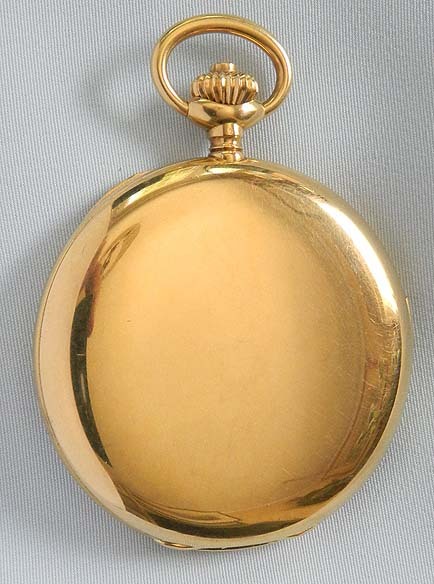 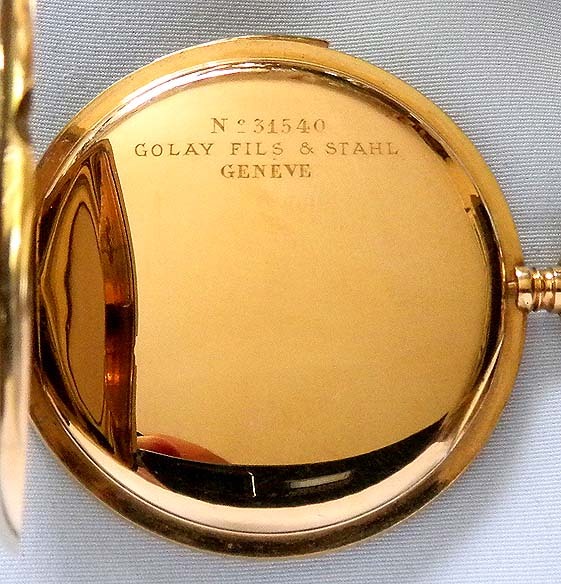 Fine slim 18K yellow gold minute repeater antique pocket watch by Golay Fills and Stahl, Geneva, circa 1920. 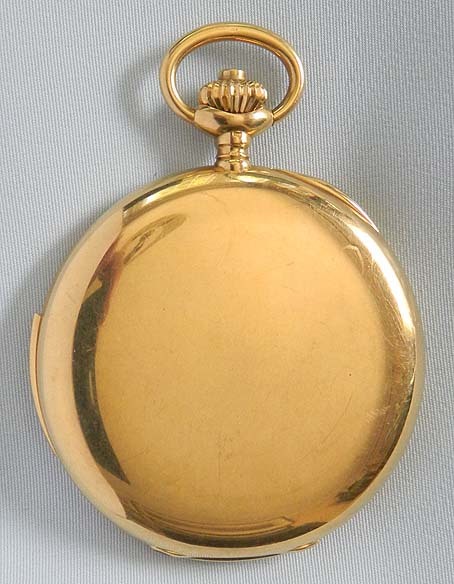 Substantial slim plain polish case with repeat slide in the band. 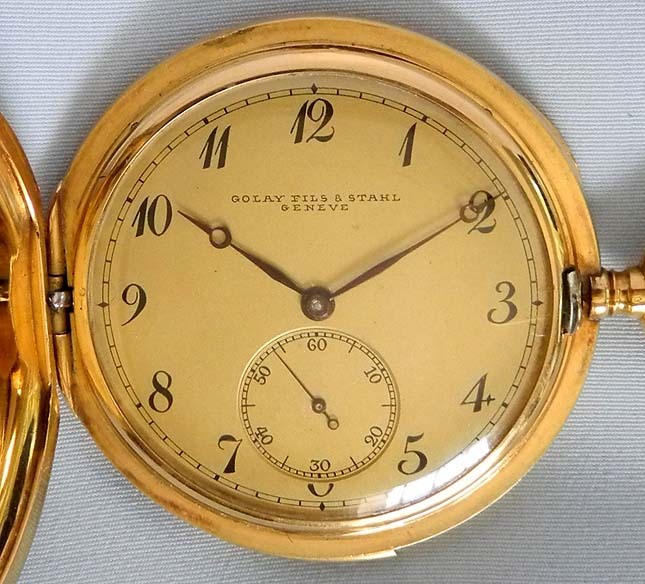 Gold dial (insignificant flaws) with black markings and blued steel Breguet hands. 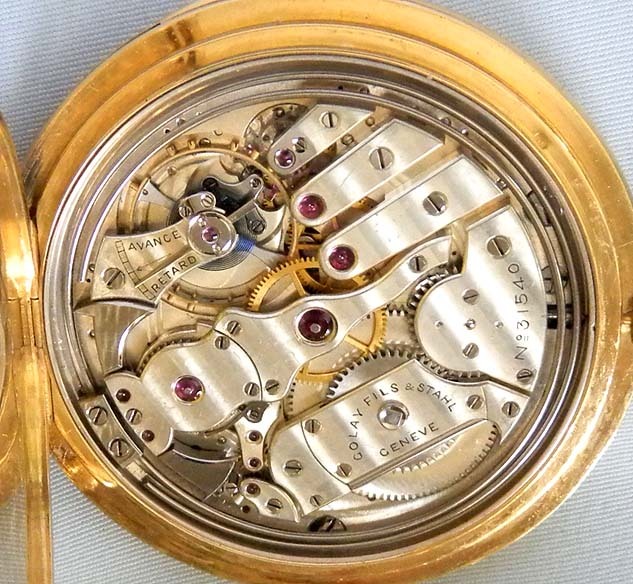 First quality estimated 32 jewel nickel movement jeweled to the center and the hammers.